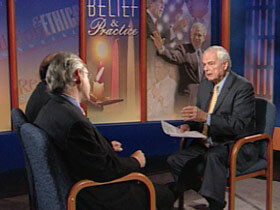 BOB ABERNETHY, anchor: We continue our conversation here about the role of religion and values in the campaign. 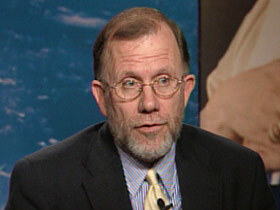 Michael Cromartie is vice president of the Ethics and Public Policy Center in Washington and also a member of the U.S. Commission on International Religious Freedom. 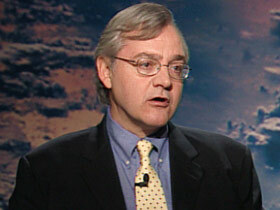 E. J. Dionne is a columnist for THE WASHINGTON POST, a fellow of the Brookings Institution, and a professor at Georgetown University. Welcome back to both of you. MICHAEL CROMARTIE (Vice President, Ethics and Public Policy Center): Thank you, Bob. E. J. DIONNE (Columnist, WASHINGTON POST and Senior Fellow, Brookings Institution): Thank you, Bob. ABERNETHY: E. J., in the last few weeks it seems that religion in this presidential campaign has become much more prominent than it was earlier. What’s your sense of that? Mr. DIONNE: I think in this election, religion has played a much more explicit role. We’ve often had religious figures in politics, religiously oriented candidates — certainly Jimmy Carter and Bill Clinton. But I think this time the various traditions in our country are being more explicit in bringing their faith to the public square and having real arguments about what the priorities of religious people should be, whether it be stem cell research and abortion or social justice issues and war and peace. I think everyone is being more explicit this year about that. And I think that’s a useful thing, not only for religious people but also for secular people, because it makes the argument more open. ABERNETHY: Michael, what did you see? Mr. CROMARTIE: Well, I agree with E. J. on that. I would just add that I think what’s new about all of this is that post-President Clinton, the Democratic Party has discovered religion and, namely, Senator Kerry has. I mean, if you read columnists and people who have written books about Senator Kerry, religion has not been a big part of his vocabulary when he’s been a senator or running for office in Massachusetts. In the last four or five months, though, however, it has, and I think that his handlers, his advisors have said, “You know, we need to be sure that we don’t forget the religion vote.” And so in that sense I think that you’ve heard a lot from him. He’s been speaking in a lot of churches — a lot more churches than President Bush has been speaking in. Mr. DIONNE: Well, I think there’s a great tradition of Democratic candidates speaking in African American churches, especially in the weeks before the election. I think that there’s a slightly more charitable way to put the same point Mike made, which is that Kerry always did have this religious interest, but that the Democratic Party has come to realize that if Democrats appear to be hostile to people of faith that is a) a wrong thing to do, I believe, but b) it’s politically foolish. This is the first campaign I’ve seen a campaign button that says “People of Faith for Kerry/Edwards.” That’s a mark of the change that Mike described less charitably, and I would describe more charitably. ABERNETHY: But this campaign has become — we are so divided as a country — the tone of it has also become sort of sour, antagonistic, and fearful, each side kind of afraid that the other is going to steal the election. E. J.? Mr. DIONNE: We’ve got a lot of faith, a little hope, and not much charity in this election. And there is the fear that there will be voter suppression on the Republican side. Republicans talk a lot about fraud, although perhaps it’s my own bias, but I’m more scared of people being deprived of their right to vote. And so, yes, you do have that. The odd thing about the polarization in our country is, I think, you can look at it in two ways. If you look at the sort of far ends — extremely conservative religious people on the one hand and very, very secular people, some of whom are hostile to religion, on the other — then sure, we look entirely divided. But I think there’s a much bigger middle that includes sort of moderately conservative people who understand our tradition of religious freedom, and very liberal people, including secular people, who see a legitimate role for religion. And there’s ambivalence on a lot of these cultural issues, even difficult ones such as abortion and stem cell research. So yes, we are divided but no, I don’t think we are totally torn by a culture war. 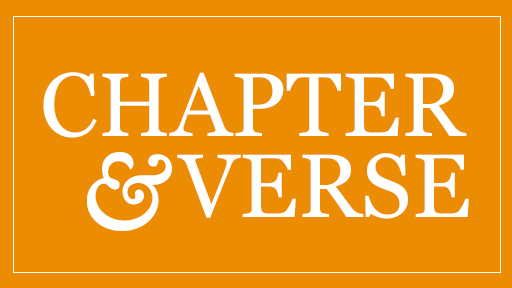 ABERNETHY: Michael, we quoted earlier an excerpt from a speech from President Bush this past week, saying that his life is part of a “much bigger story” — his faith has reminded him that his life is part of a “much bigger story.” What does that mean, as you interpret it? ABERNETHY: The story being God’s plan? Mr. CROMARTIE: For their individual life. Now, by the way, I mean, I think the president would say that. I think if Senator Kerry wins, he can say that also. He can say that “I am part of a larger story.” He wouldn’t be theologically incorrect to do so. Mr. DIONNE: I think the issue here is that — I mean, what Mike says is true. It’s also true that there are a lot of conservative Christians out there who actually do believe that President Bush is, in some way, part of God’s plan, and they link that explicitly to the positions he has taken. And so I think the president has been very good at using words in his speeches to send messages to those religious communities without necessarily turning off others — the most famous case being the “wonder-working power” of certain programs, which comes straight out of a hymn. Secular people didn’t notice it — it sounded like a nice phrase. Religious people did. ABERNETHY: My sense is that underneath everything we’ve been talking about here, the fundamental values, the goals of public policy are matters of pretty much agreement between conservatives and liberals. It’s how you implement them where the differences come. Is that your sense too, Michael? Mr. CROMARTIE: Well, yes. I think that all conservatives are not the same, and all liberals are not the same, and you can caricature their arguments. But, I think, in general — and I think with this president it’s the case — that we are all concerned about the poor. The questions are, what are the most prudential ways to get to the result that you want without making matters worse? And so there is a disagreement about more government, less government, limited government versus more government programs. And that’s where the differences are. And they are not over the goals; they’re over how best to get to where we want to go. ABERNETHY: And is that also the case with some of the social issues like gay marriage? Mr. DIONNE: Well, you know, it’s interesting — there is an argument, for example, among Catholics that has broken out in the last couple of months, where more liberal Catholics are saying, “Look, if one is against abortion, let’s look at what abortion rights were in different administrations.” And more liberal Catholics have said, “Look, the abortion rate went way down under the Clinton administration. It is not just what the law says about abortions, it’s the social conditions you create that might reduce the number of abortions in society.” So I think that’s one example where you are seeing that debate. Then again, this is a case where in certain moments we can talk and sound very much like we agree across these divides. But there are very serious differences about: How do you interpret “just war”? Is the war in Iraq a just war? Is it right to cut back on certain social welfare programs? Is that true to our religious traditions? And those are real arguments, and I think we should have them. Mr. CROMARTIE: And the same is true, by the way, of abortion and partial-birth abortion. To say that you are personally opposed to abortion, but then you don’t vote to ban partial-birth abortion, to me is what a lot of people who are religiously conservative are concerned about Senator Kerry. ABERNETHY: And quickly, we were talking about the division, the bitterness, the sourness of the tone of the campaign. Can that be fixed, E. J.? Mr. DIONNE: I think it’s going to be very hard. I think that it may be a little easier for Senator Kerry, if only because his profile isn’t as fixed in people’s minds. Kerry people are talking about putting Republicans in prominent positions in the administration. I think it’s going to be very difficult. I also think you are going to have a huge fight on each side — liberal against liberal, conservative against conservative — especially on the side that loses this election. ABERNETHY: Our time is up. I’m sorry. Thanks for today, thanks for the previous conversations, Michael Cromartie, E. J. Dionne.